Come experience the beautiful Solvang Century with Cycling Adventures! We will prepare you for the event with specialized training routes in our own San Diego Mountain range. Solvang's 100 mile/ 5000 feet event. Once you complete the Century; stay an extra day to explore the quaint little village and local wineries surrounding Solvang. Cycling Adventures will make reservations for a Team Dinner on Saturday night and wine tasting tour on Sunday. Times: 8:00 a.m. - 2:00 p.m.
Times: 6:00 p.m. - 7:30 p.m.
Everyone must register for the Solvang Century Event on their own. 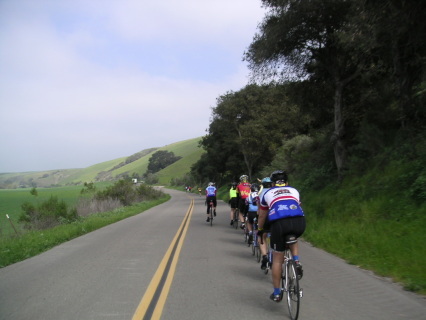 For more information click the following link: http://www.bikescor.com/solvang_century.html#. Cycling Adventures will be renting a team house for the weekend. The rental cost will be split between house guests. There are many hotel options in Solvang but they do tend to sell out quickly so make your reservations now!